Thanksgiving is rapidly approaching, and with it comes the Christmas shopping season. Remember that UPS will not be working on Thanksgiving day. That means that many orders placed with us on the Monday before Thanksgiving will not be delivered until after the Thanksgiving weekend. So if you plan on bringing in inventory for Thanksgiving weekend, please plan ahead and get the order in early. 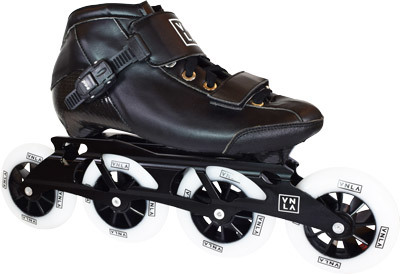 The adult sizes of the Vanilla X1 inline speed skates are now in stock. This is an entry level speed skate from Vanilla, priced slightly below the Carbon. Sizes 6-13 are in stock now. Sizes 1-5 should be ready soon (they had a small problem with the wrong frames being shipped). Several different skates aren’t here quite yet, but are expected real soon. The Sure-Grip Cyclone skate is being billed by Sure-Grip as the best $99 (retail) skate in America. Coming in black, blue, pink, or purple boots the early feedback on this one has been very positive. Roller Derby’s Revive skate is now expected to arrive in early November. This is somewhat similar to the GTX-500 skate, but with LED lights built into the sole of the shoe. If you saw this one at our tradeshow you’ll remember it. 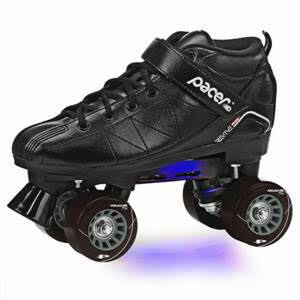 Roller Derby is also bringing back the Extreme inline rental skates. This was the most popular inline rental on the market until the factory in China that was making it shut down. But they’re coming back and they should be very close (identical?) to the original version. Small Business Saturday is a promo started by American Express to get consumers to support small businesses on the Saturday after Thanksgiving. They spend a lot of money to promote this, they create free marketing materials that you can use to promote your business, they run national tv ads, and it all happens right as the skating season is really starting to take off. To sign up, please visit https://www.americanexpress.com/us/small-business/shop-small/promote?linknav=us-open-shopsmall-globalheader-promote (a link will also be available at www.seskate.com/blog if that is easier for you to remember). The more skating rinks that participate the bigger our “footprint” will be on this important event. The earlier you sign up the sooner you’ll get your marketing materials.